Washington's stick-and-carrot approach towards Ankara is unlikely to bear any fruit given Turkey’s adherence to a consistent and independent foreign strategy, Turkish analysts told Sputnik, dropping a hint that Ankara's withdrawal from NATO is just a matter of time. Turkey scares Israel both economically and geopolitically, Can Unver, a Turkish security analyst, opined, commenting on the ongoing row over Ankara's acquisition of Lockheed Martin's F-35 stealth multirole fighters. 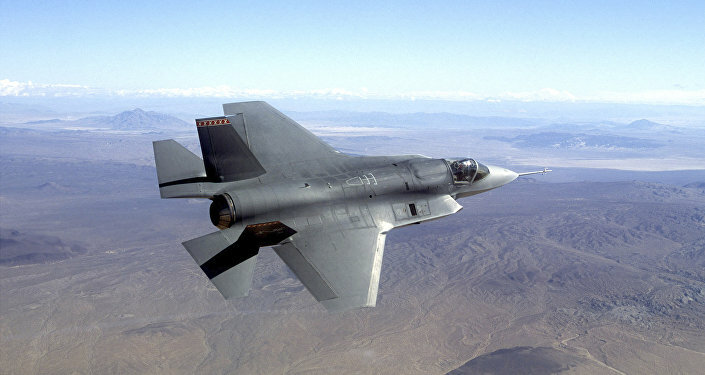 On June 29, Breaking Defense reported that following the roll-out ceremony of the first Turkish F-35 on June 21, the Israeli defense establishment had expressed deep concern at the development. Speaking on condition of anonymity, Israeli officials told the media outlet that "Turkey is a member of NATO on paper only," since it cooperates with countries "that are against the US." "Recently, Turkey is demonstrating a resolute and consistent position in its foreign policy that is based on the priority of its national interests," Unver told Sputnik Turkey. "This situation triggers serious concerns in the US and Western countries; we see that they have subjected Turkey to heavy criticism. For its part, Israel claims the role of an 'irreconcilable spokesman for US interests' in the region." The analyst highlighted that Turkey has played a substantial role in the development of the F-35 aircraft. In the accordance with the contract, Turkey was envisaged to buy 100 stealth jets after development is finished. However, the security analyst does not believe that Trump would take a step towards halting US-Turkish cooperation, regardless of the US Congress' threats. "The US does not want to lose military bases in Incirlik and Kurecik," Unver stressed. "I do not think that the US will adopt such a thoughtless stance. In the past, they had already suffered from the embargo they imposed on Ankara during the Cold War [following Turkey's incursion into Cyprus in 1974]." A US Air Force plane takes off from the Incirlik airbase, southern Turkey, Sunday, Sept. 1, 2013. For his part, Dogu Perincek, leader of the Vatan Party and former presidential candidate, suggested that Turkey could not be regarded as a NATO member "in the true sense of the word." Furthermore, according to Perincek, the Transatlantic alliance regards Turkey as a potential "target": "The US, Israel, Greece and South Cyprus are regularly conducting exercises aimed against the Turkish Armed Forces in the Eastern Mediterranean," he opined. "This indicates that Turkey is not actually a member of NATO, but is considered by the alliance as an adversary." Perincek believes that Ankara's withdrawal from NATO is just a matter of time. He recalled that during the counter-terror operation in Syria Washington sent almost "five thousand trucks" loaded with weapons to the Kurdish People's Protection Units (YPG), regarded by Ankara as an affiliate of the Kurdistan Workers' Party (PKK), outlawed in Turkey. "I believe that the threats against Turkey issued by NATO will become a wake-up call for our country and will prompt it to take more decisive measures to ensure our own security," he emphasized. According to the politician, the S-400 contract has laid the foundation to Turkey's withdrawal from NATO standards in terms of armament and military control. Meanwhile, "Turkey has begun to reassess the concept of threat, allied relations, gradually turning its back on America," Perincek suggested. "It is very important. The decision to buy the S-400 is a clear indicator that Turkey is following a new defense strategy. Turkey's withdrawal from NATO is ultimately inevitable." 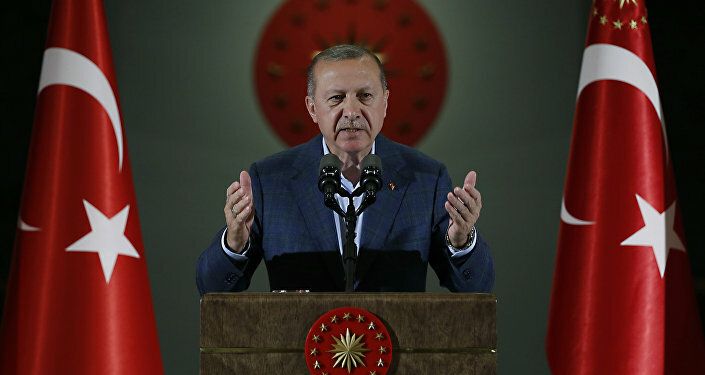 Having said that the US stick-and-carrot approach towards Turkey no longer works, he underscored that Washington "has lost the lead" in the Middle East. "The times when America played the role of a determining political force in Turkey and set the direction for the development of our country are gone." 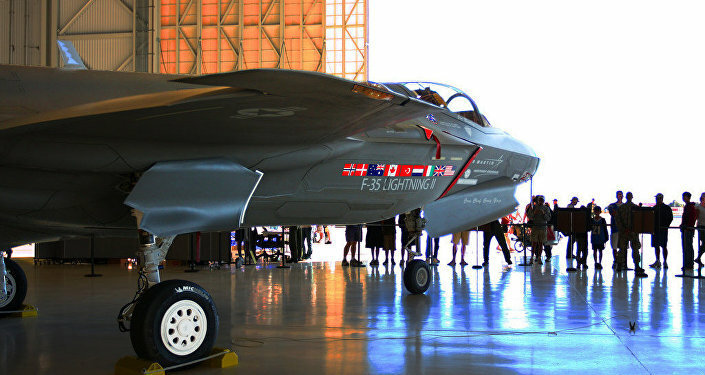 Tensions continue to simmer around the delivery of F-35 fighters to Turkey as US Assistant Secretary of State for European and Eurasian Affairs Wess Mitchell signaled that Ankara may be subjected to sanctions under the Countering America's Adversaries Through Sanctions Act (CAATSA) unless it terminate its S-400 deal with Moscow. Additionally, Congress has passed a bill stipulating that the Pentagon provide an assessment on whether the multirole stealth fighter will be compromised due to Turkey's use of S-400s before the delivery of the aircraft. Ankara has repeatedly stated that the Russian-made S-400 air defense systems pose no threat to NATO, citing the alliance's unwillingness to provide Turkey with missile defense complexes. Ankara and Moscow inked a deal on the purchase of S-400 in December 2017. Speaking to the Russian television channel NTV, Turkish Foreign Minister Mevlut Cavusoglu noted that the US Congress is trying to block Ankara's acquisition of American multirole fighter jets, adding that President Trump promised to step in and resolve the problem. The views and opinions expressed by Can Unver and Dogu Perincek are those of the contributors and do not necessarily reflect those of Sputnik.